Our Professional Cooking Utensils make Ideal Gifts for Food Lovers, Cooks & Home Chefs! 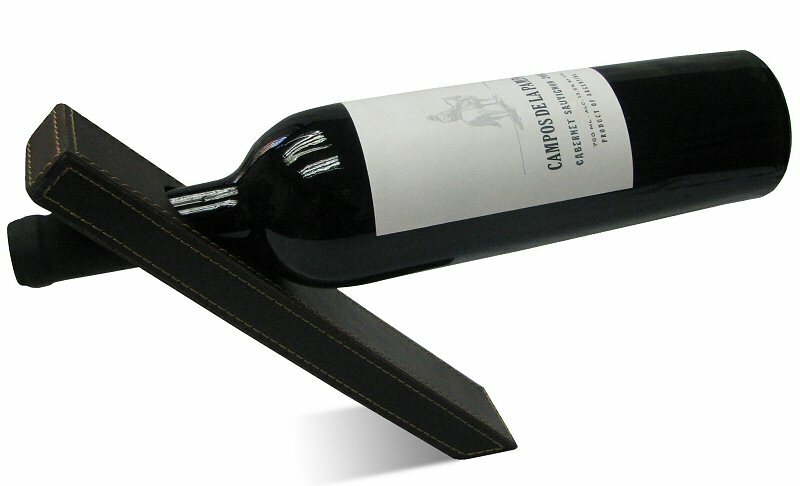 Display your prize bottle of wine with the amazing gravity defying Magic Wine Bottle Holder. Put it on a sideboard, have it as a table centerpiece, or simply in the kitchen and the bottle holder will instantly draw attention to your vintage tipple and the magic like effect holding it in mid air. Thanks to the perfect balance of the holder the bottle remains vertical so that the label can be clearly read. It is ideal for parties, for impressing your friends, or just as an ornament. It has an elegant leather finish to fit in with the smartest of kitchens and although it looks mind-bending, it is easy to use. The Magic Wine Bottle Holder is the ideal gift for all wine lovers and those who like to throw a party. Once we have sent your order we will email you dispatch confirmation so you will know when to expect it. Delivery of this product will usually be next day if you order before 12am. Deliveries will take place usually between 9am and 5pm, Monday to Friday (excluding Public Holidays).